If your Apple Watch is starting to slow down, lose battery faster, or even gets stuck in an app, it may be time to close a few apps. Periodically giving your Apple Watch a fresh start is a great way to help you restore the watch's usefulness and get back to work. If you clean up your apps and restart from time to time, your watch should always be ready for action. Here's how to close apps on the Apple Watch. These steps work for the Apple Watch Series 1, 2, and 3. Unlock your Apple Watch with your 4-digit code. Note: If you're wearing the watch, this step is likely unnecessary. Press the Side Button once. Use your finger to scroll through active apps until you find the app you want to close. Swipe from right-to-left on the app you want to close. If you're using an app on your watch, but it's frozen, use this method to force close the application. Note: You must be in the app to force it to close. Release the Side Button when the shutdown screen appears. Press and hold the Digital Crown/Home Button until the app closes. Hold down the Side Button, then slide to Power Off. If your watch has become unresponsive, force it to reboot by holding down the Side Button and the Digital Crown at the same time until it powers off. 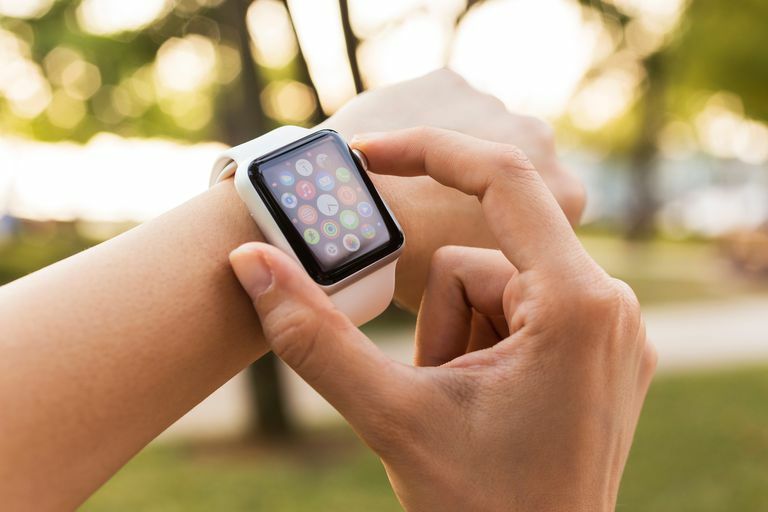 While your Apple Watch also has a companion app on the iPhone, the ability to control apps from your phone is limited to functions like changing the App Layout, Brightness and Text Size, Sounds and Haptics, your Passcode and Privacy settings, and removing/uninstalling apps. Managing the apps running on your watch must be done via the watch itself.